This is the house where my sister, Mary, and I were raised. Originally, the front portion was a two story log house. In the 1940's more rooms were added to the back for a big kitchen, dinning room and bathroom. The owners who renovated it made every room downstairs paneled in cedar and French doors everywhere. They also added a screened in porch on the right with a room above it with four big picture windows on 3 walls. I wish they had thought to properly in...sulate that upstairs room because it was kinda cold in winter. This picture was taken on one of those rare winter snow days, I am not certain of the year this was taken, but I'm guessing in the 1960's. The house is still there on Tuckaseegee Road, but some things have changed, The big oak tree in the front yard is gone and the field across the road is now a housing development. I rarely go by there. It's across town from where I live now and it makes me feel sad that strangers live there now. I have some warm and wonderful memories as well as some sad ones from all the years I lived there. If houses could talk, just imagine what they could tell us. Today in 1941 Pearl Harbor, where most of America's naval ships sat in the harbor, the Japanese attacked and America entered into World War II. Funny, isn't it, how history plays out. Japan, our enemy then, is now our friend, and Russia, then a friend, is now an enemy. Too bad we can't work things out before events like Pearl Harbor take place. I wish we could live in a world at peace. My greatest asset as a writer is my memories. It is from my memories of my grandparents and their conversations about their lives that I was able to build a foundation for my historical stories. From them and my parents I learned a wealth of knowledge about how a household was run without modern conveniences, what they did to earn a living in those difficult economic times. I also learned what they did for entertainment in a time before anything with a screen existed and even radios and telephones were a rarity. Hard to even imagine, isn’t it? My grandfather McNeal was a post Civil War baby, born in 1867. He had a well with a hand pump beside the kitchen porch. He bought a little red school house with two bedrooms, a kitchen, and a living room. He paid for it outright, no mortgage. A coal burning potbellied stove sat in the living room and heated the whole house. In the beginning, it had no electricity or plumbing. By the time I came along, he had a sink with running water and electric lights. I don’t remember him having an electric stove. He had an outhouse. Because his eyesight became bad in his elder years, he had a rope from the house to the outhouse. My grandfather and grandmother were both scholars with certifications for teaching, but my grandfather earned the greater portion on his income from painting houses. 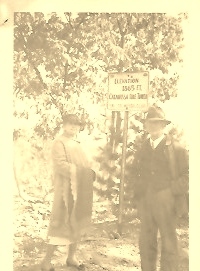 He had no horse or automobile, so he walked everywhere, in every kind of weather, even bitter winters in Numidia, Pennsylvania. 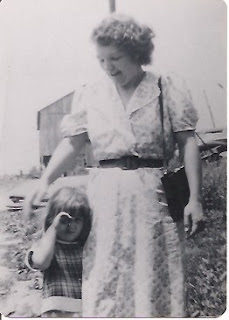 My grandmother did not work outside of home in order to raise their three sons and take care of the household. She, however fought for women’s suffrage and was definitely her own person from all accounts. I never had a chance to meet her. She and my two uncles had all died before I was born. He died when I was just six years old, but I remember him and that little house vividly. 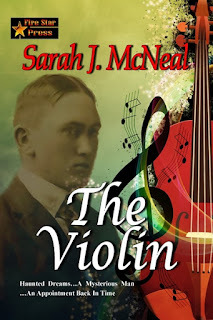 I wrote my time travel story, THE VIOLIN, based on these memories and what memories my father shared with me about his years growing up and about his brothers and parents. Can the heart live inside a violin case? Can a message reach across time? Genevieve Beaumont is haunted by dreams of a drowning man she is helpless to save. When she buys a violin and discovers news clippings and pictures of its owner who died from downing inside the case, she realizes he is the man in her dreams. She travels to the little town where he died 90 years before to investigate who he was and how he came to drown that day. Little does she know how her own life will be tangled in the mystery…until she steps through the threshold of time to 1927. She heard him take in a slow breath before he spoke to her in a more relaxed, quiet tone. "I beg your pardon, miss, I didn't mean to curse. What's your name?" The younger man’s voice soothed her as he knelt beside the couch where she lay. He wrung out a cloth in the bowl of water beside his knee, folded it, and applied it to Genevieve's brow. "My name is Genevieve Beaumont. I was just standing at the window and now…I'm here." She lifted a shaky hand to her brow. "My head is pounding." "You bumped your head when you fainted. Is that a French name?" He lifted a quizzical brow and smiled. She lifted her eyes and got a good, close-up look at him then. Her heart almost stopped beating in her chest. She sucked in a deep breath. What was happening to her? How could any of this be possible? The man holding the cool cloth to her head was the man in the pictures she found in the violin case! She would not have guessed he had auburn hair, or that his eyes were such a vivid, bottle green. He wore a collarless, khaki shirt with the sleeves rolled up and suspenders instead of a belt held up his tan, canvas trousers. Oh, but he was handsome—so much more than his pictures ever allowed. She didn't have time to admire the young man's good looks because her mind swirled round and round with the unfathomable implications of her situation. My earliest memories of my maternal grandmother are from the time when she lived in an old Victorian house on a farm. She had a big green coal burning stove that heated the kitchen, which was huge, and their hot water from a tank on the side. The bedrooms upstairs had fancy iron grates in the floors that could be opened or closed to heat the rooms above stairs. I also recall all the chores my grandmother performed cooking on that stove, cleaning, washing clothes and hanging them on the line, ironing with an iron she heated on the stove, and looking after the chickens and the baby chicks. She was busy all day long, yet she enjoyed sewing, quilting with her friends, knitting, and crocheting—and she considered all that fun. She also went to visit her friends on Sundays which was a treat because they traded goods with one another, the same the women on the frontier did. Visiting was a pleasure, a comfort, and a news exchange. I used much of what my grandmother did in several stories including “A Christmas Visitor” in the new Christmas anthology, SWEET TEXAS CHRISTMAS. My only regret is I didn’t ask my grandparents more. There is so much more I wish I knew. 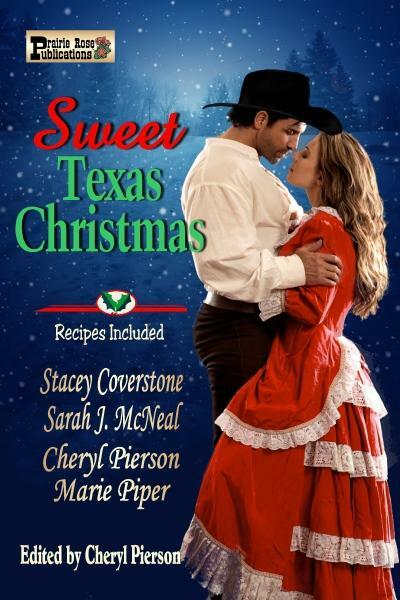 SWEET TEXAS CHRISTMAS is an anthology of sweet historical western romances that take place in the state of Texas written by veteran western romance writers: Stacey Coverstone, Sarah J. McNeal, Cheryl Pierson, and Marie Piper. Sterling Thoroughgood was Matilda Barton’s first and only love, but he left her three years ago to seek his fortune in Wyoming. And now he’s come back with a puzzle box as a gift with a secret inside. But as far as Matilda’s concerned, it’s three years too late. Is love lost forever or does the mysterious puzzle box hold the key to happiness? Well, there it was. He’d hurt her when he left and she wasn’t about to let him forget it. This month has always been one of excitement, stress, and mystery for me. So many happy memories are centered around the Christmas season. It rarely snows here in the southern part of North Carolina and extremely rare for it to snow on Christmas. But when it does happen, it’s positively magical. I feel like I could make a wish when that happens and it would have to come true. 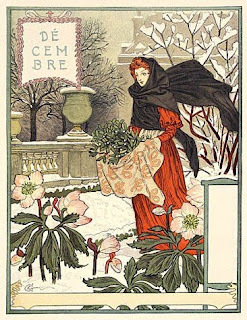 Of course, for many of us there is some sadness felt especially during this winter season. There are people we love so dearly that won’t be with us. Some are celebrating Christmas in Heaven, some will be too far away to come home to us, and some will be serving their country in foreign places. We’ll think of them and hold them in our hearts and our prayers. One very nice thing about online shopping for presents is that it’s easy, convenient, and no worries about fighting for a parking place. Conversely, there is a certain excitement about shopping in physical stores during Christmas. We will miss out on those special decorations, the music, the smell of real Christmas trees, kids lined up to tell Santa what they want and the exciting energy of the shoppers around us. So let’s see where this December takes us. 43 years ago on the day after Thanksgiving, November 29, 1974, my mother died. I was 27. It was a long time ago. Some might think the painful loss of a mother would soften with time…but it doesn’t. The time between feeling the sharp edge of that loss becomes longer, but when I feel it, it seems I lost her only yesterday. It is as intense as it was that night when I stood at her bed and watched her take her last breath in on Earth and knew she inhaled her next breath in Heaven. Mom made Thanksgiving and Christmas special. She loved to cook up those holiday feasts and looked forward to watching us open our presents. 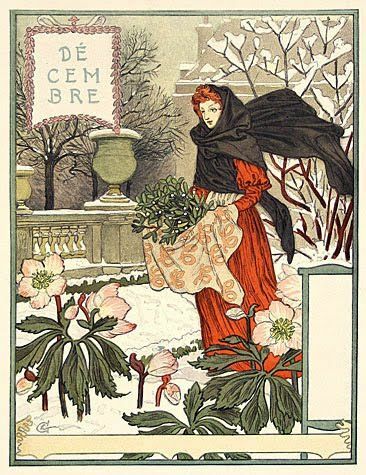 Even after we were all grown and flung far away, she loved when those of us who could, came home to spend the holidays. I remember she was particularly fond of peppermints and hard ribbon candy (don’t know who among you remember that ribbon candy). This year I miss her with that deep feeling of loss which I think many of you who’ve lost your mothers have felt. So, I wanted to help myself get through it by paying this tribute to her and sharing it with you. She meant the world to me. 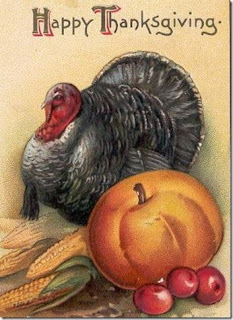 Have a safe and joyful Thanksgiving! Christmas in Texas couldn’t be sweeter than these stories of lost love found and new love discovered at the most joyous time of the year! SWEET TEXAS CHRISTMAS is a boxed set of Christmas novellas that will warm your heart and keep you reading long into the night to see how these couples find their happily-ever-after ending! With the holiday season in full swing, these western heroes and their ladies come together in a delightful collection of four deliciously sweet Yuletide stories you’re sure to love and remember. Authors Stacey Coverstone, Cheryl Pierson, Sarah McNeal, and Marie Piper have penned these scrumptious Christmas tales just for your reading pleasure, along with a special surprise in each story! Each of these holiday tales includes a delectable dessert recipe guaranteed to bring an added measure of Christmas sweetness your way! There’s nothing quite like a SWEET TEXAS CHRISTMAS! Cowboys, kisses and love in the holiday air make for a special recipe in each of these wonderful new stories. Christmas miracles can happen when you're WISHING FOR A COWBOY! Teekonka Red Sky loves Jane and her son, but all his efforts to help them past their painful memories of the night Jane's husband, Michael Pierpont, died have been unsuccessful. Unwilling to give up, can his Lakota beliefs help him bring peace to Robin and free Jane to love again? “I best be gettin’ back to the gas station. Mr. Anderson brought in his tractor and, with this snowstorm coming, he’ll be needing it to plow the snow from his drive. He and Ben are going to help keep the streets in town clear, too. We could all be grateful for that.” Teekonka buttoned his coat and replaced his hat, covering his shaggy length of thick, black hair. Thanks to Kaye Spencer, a friend and colleague helped me with this graphic. Also, thanks to my Facebook friends and authors, I now have a new slogan that defines my multi-genre stories more than my previous slogan. As an author I have responsibilities beyond writing stories which include promotion, establishing my brand and platform. I don't mind really. I just want to do a good job with it. So I really appreciate how my writer friends came to my rescue. Thanks y'all! In the beginning of my career I only wrote paranormal and fantasy romance. Coming up with a slogan that defined my brand was simple. It read, “Romance out of this world.” My signature was Sarah J. McNeal, Paranormal and Fantasy Author. Well, over the years, things have changed. 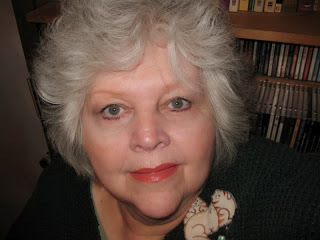 I have written contemporary romance, straight up with no chaser, and in recent years I have devoted my writing to western romance, both historical and contemporary. So coming up with a short slogan that defines my brand is more complicated now. After Deborah MacGillivray’s article last week, I got in touch with Donna Gilanti, a best-selling author and speaker who has a website and free downloads of information about building platforms for writers. I’ve only come up with one lame slogan: “Romance bridging time and place.” As you can see, there is nothing that indicates my western romances. So I need some help. I would love it if my writer friends would tell me their genres and their slogans so I can get a clue about what I should create for my own brand. I should would appreciate you help. Big surprise! I woke up Wednesday morning to find a baby frog hopping across my bedroom floor. Even though he tried to disguise himself as a tiny dust ball, I realized it was a living creature when the dust bunny actually hopped. It took a second hop to penetrate my foggy brain. It was then that I noticed its eyes and it blinked. The dust ball masquerade was over. A moment of panic rushed in. I certainly wasn’t going to harm the little guy. That just wouldn’t be my style. It’s not like the little thing was coming to kill me or something. It was just lost and confused most likely. I dug into the bathroom cabinet and found an old baby wipes box and a little dust pan and brush I keep in there. I nudged the little froggy into the box, took it outside to the deck, and released it into the wilds of the potted mint. Little froggy now had everything it needed—plenty of places to get shelter, water from one of the bird baths, and, with some gratitude on my part, plenty of mosquitoes to eat. We are both happy now. I had another baby frog some years back who lived in the metal whirligig on the deck. Thank goodness the whirligig was no longer functional or it could have been a hazard instead of a hideaway. That frog grew up and moved on. Maybe this new baby frog is one of its offspring. Apparently my house has become a frog has become a froggy sanctuary. I have no idea where these frogs come from. As far as I know there is no creek or pond anywhere around. The only thing that disturbs me is this recent frog—how did it get into my bedroom? I may never know. I just hope no snakes find a way in. I would freak out for certain. My sister did have a problem with little garter snakes in her house when she lived in Raleigh. When I had a doggie door, the cat would bring in things like birds, moles, and one time, a little garter snake and she would release them and chase them around in the house. Needless to say, I shut down that doggie door and Liberty hasn’t been allowed outside in the years since then. Have any of you had wildlife loose in your house? What about snakes? 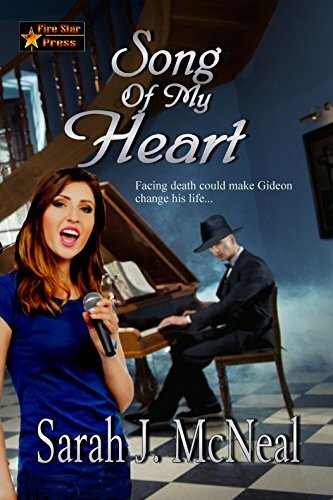 Logline: Facing death might change Gideon’s life. 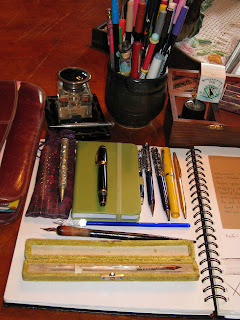 I'll be at the Fire Star Press blog tomorrow. Come over and comment for a chance to win a free digital copy of SONG OF MY HEART. When I was younger, before I retired from nursing, I used to think of naps as a waste of time. Who took naps for Pete's sake? There is just too much to do and, besides, people who take naps are just lazy and nonproductive--right? Well let me tell ya, things have changed. I've found naps to be a healthy and wise investment. I don't get to take one every day, but I sure look forward to those days when I can. My naps aren't long, anywhere from 15 minutes to 1 hour, but they make... a difference. If I take a nap longer than an hour it has the opposite affect on me and I feel drained and out of sorts. But a short nap does wonders to reset my mood. A person can get kinda cranky when they're tired or aggravated. A nap takes all that bad mood and tiredness away and makes you more amiable and pleasant. I feel refreshed and peaceful after a nap even after just 15 minutes. A short nap does wonders to reset my mood. I don't even have to fall asleep. Sometimes I can just lie there and meditate for a while and it helps me make it through the rest of the day in a good mood. Many more people should take naps. Do you take naps? If you do, do you feel better when you do? Do you get to reset your mood? Some years ago my automatic dishwasher up and died. Naturally, I ran out to Sears and bought a new one to replace it. I was so happy when the guy came to install the new washer. But then there was a glitch. According to the installer something was wrong with my plumbing and I would have to call my plumber before he could finish installing my new dishwasher. The plumber came and did something with those pipes and hoses and said all would be well. Back came the installer. After working around for a bit, he said I needed to call the plumber back because it still didn’t work. Here comes the plumber again, another $80 for the house call paid. He toyed with the pipes again and said all should be well. Here comes the installer who said he still couldn’t get the dishwasher running and to call the plumber once more. 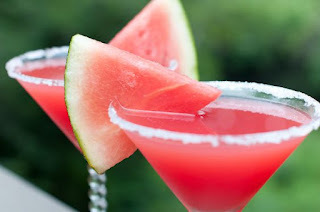 Another plumber came this time and while he checked out the plumbing to the dishwasher, my niece, Betsy, and I made some watermelon martinis. They were delicious by the way. So, we shared a martini or two with the plumber. After the plumber finish inspecting the pipes and hoses to the dishwasher, he said there was absolutely nothing wrong with the plumbing. It seems the dishwasher was defective. Back comes the installer who then admitted it was the dishwasher that was not working and offered me a deal—he would write up a work order for someone from Sears to come fix the brand new washer for a discount on the dishwasher. Now that it had already cost me over $200 in plumbers who apparently hadn’t done anything until the last one who had a couple martinis, I was pretty irate at being lied to by him and two of the plumbers so I told him to take his broken dishwasher back to Sears. 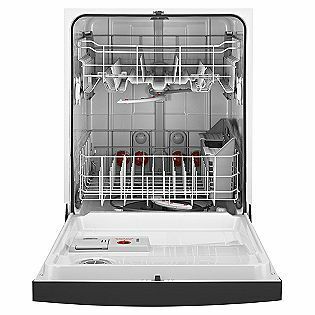 I bought another dishwasher at Home Depot, the worker installed it, and it worked like a dream for years until last week. The dishwasher did finally croak and I’m thinking I might need to make some watermelon martinis for the next installer since that seems to bring out the truth in people. And so ends my tale of broken down dishwashers and martinis. My heart goes out to the people and the animals of Texas following Hurricane Harvey and the torrential rains. 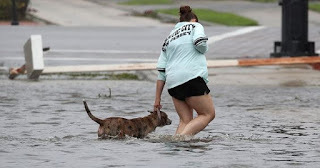 Rescue teams for people and animals, FEMA, the National Guard, volunteers, and many ministries are there and on the way. 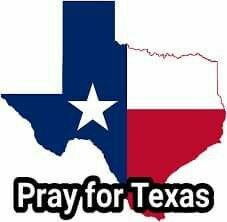 I pray for everyone's safety and wish them hope and recovery in the months ahead. I have post Solar Eclipse blues. It's sort of like the day after Christmas when all there is left is a trash bin full of torn up Christmas paper and a fridge full of leftovers. 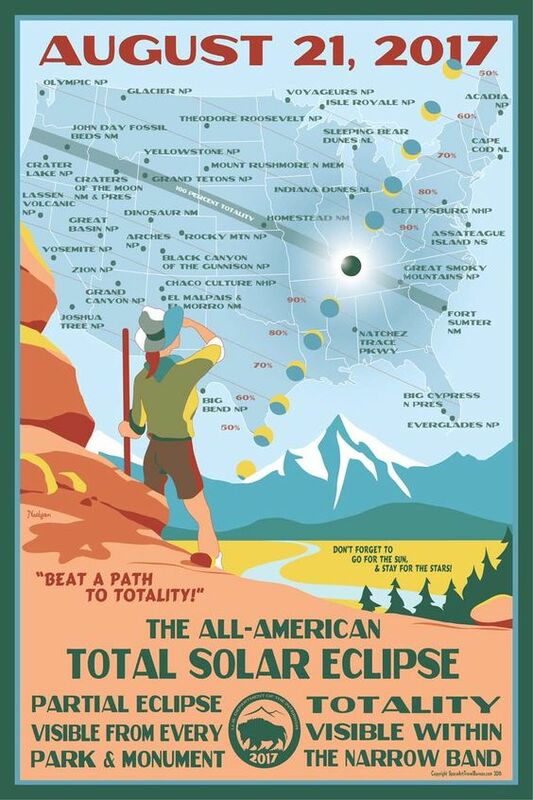 Ironically, I was at the eye doctor's during the eclipse so I missed the peak of the exhibition. Can I call a natural phenomena an exhibition? I haven't read the news in over 2 weeks and though I feel compelled to do it, I know it will only bring me down more. Wouldn't it be wonderful if all the news w...as good, or at least something like "There are no wars or problems to report today"? I'm going to live in my imaginary world a little longer I think. I've been busy though. I've been working on my last Wilding story featuring Kyle Red Sky as the hero. I'm working up some ideas for historical western romances for the imaginary town of Hazard, Wyoming and building the town from the beginning. Maybe someday I'll write about the Wildings in modern times, just not right now. Oh. And a note to my publisher at Prairie Rose Publications: I am also working on those edits for Legends of Winatuke , my paranormal trilogy. I also look forward to the eventual release of IT'S ONLY MAKE BELIEVE and my contribution to the Christmas anthology this year, A TEXAS CHRISTMAS with A Christmas Visitor. 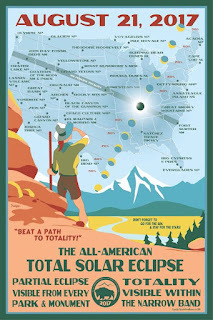 I hope no one burned out their retinas looking at the solar eclipse. The PRP Solar Eclipse party was successful I think. I hope for those of you who got my free books during the PRP Eclipse party that you are enjoying them. Now y'all go on out and have a delightful day. I'm going to work on getting my positive attitude and happy place back and do the same. Oh, one more thing. My nephew bought the solar eclipse stamps and I now have an entire sheet of my own. They are unique in that you can place your figure on the complete eclipse and it becomes the moon. Pretty dang cool. There's a lot to be said about fresh fruits and vegetables in season--the kind that actually ripened locally and are not shipped from somewhere else where the climate is different. 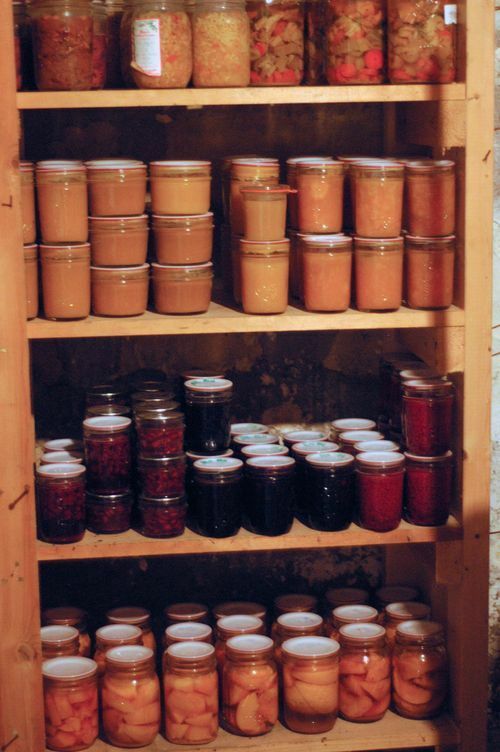 Canned fruits and vegetables are okay, especially if they're canned at home. 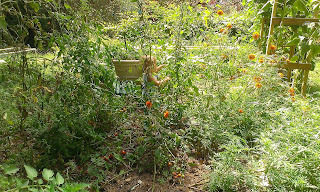 Does anybody can fruits and vegetables from the garden any more? I hope so. People really got into freezing things back in the 60's, and frozen things are good, especially casseroles, because summertime is too hot to be s...tuck in the kitchen cooking.. But nothing beats fresh, in season fruits and vegetables. I bought some locally grown peaches at the supermarket on Wednesday. I ate one of them for dessert after lunch today and thought I had gone to heaven. That sweet, juicy goodness is so wonderful. Nothing compares to it. Yumsville! And of course, no summer treat can be better than watermelon. I'm certain watermelon can be frozen, at least I guess it cab.. I don't know about canning it. I've never heard of anyone doing that. Have you? 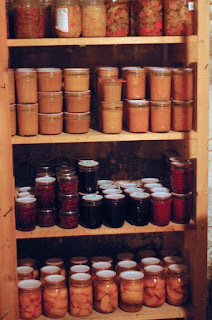 Do any of you can or freeze things from the garden or the orchard? 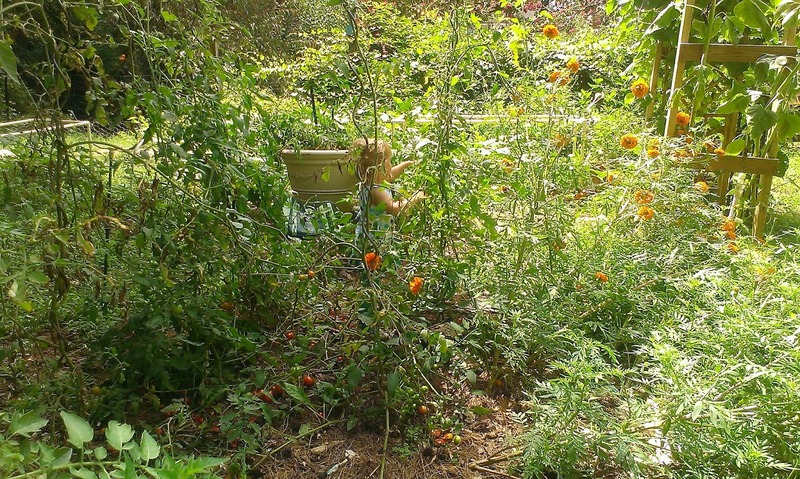 Do you raise your own fruits and vegetables? What is your favorite thing to eat when it's in season? I haven't played my bagpipes in quite some time, so of course, that means my mouth muscles are weak. I'm kinda lazy about practicing and most musicians know that's a very bad thing. Instead of improving, lack of practice makes me backslide and play worse. I suppose I should get out my practice chanter get back to playing again. 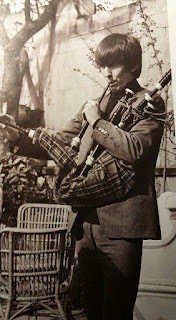 While looking up babpipes and Scotland, I found out something very interesting: George Harrison, otherwise known as the silent Beatle, played the bagpipes. I was very happy to learn that. 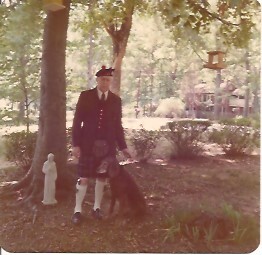 Long ago and far away, I learned that Glen Campbell also played the bagpipes and he actually played them well. It must be true that creative people are often creative in many ways. Maybe that's why musicians often play several instruments. It's most likely because they just love music. Although I play several instruments, music is my second love--second to writing fiction. I love to write stories. Pop could only play the harmonica and sometimes we would play together which was fun, but he wanted me to play the pipes. He was proud of his Scottish heritage and I knew it would mean so much to him if I played. So, I found my first pipe instructor and got to learning. 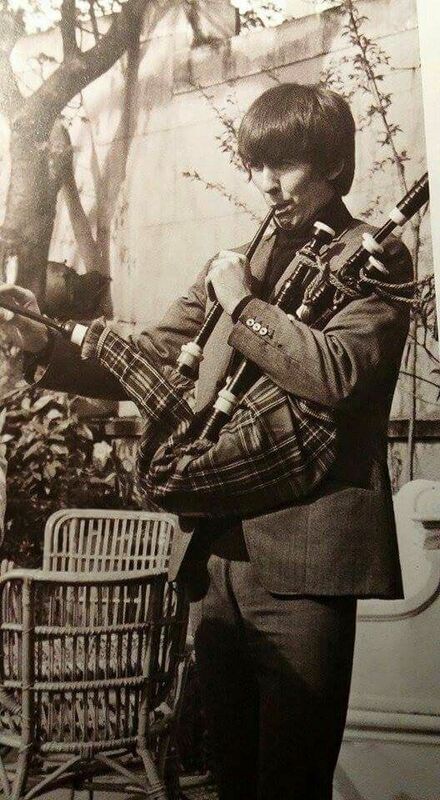 Now I would never claim to be really good at playing the pipes, but it certainly was a challenge for me and I loved that. Pop did, too. 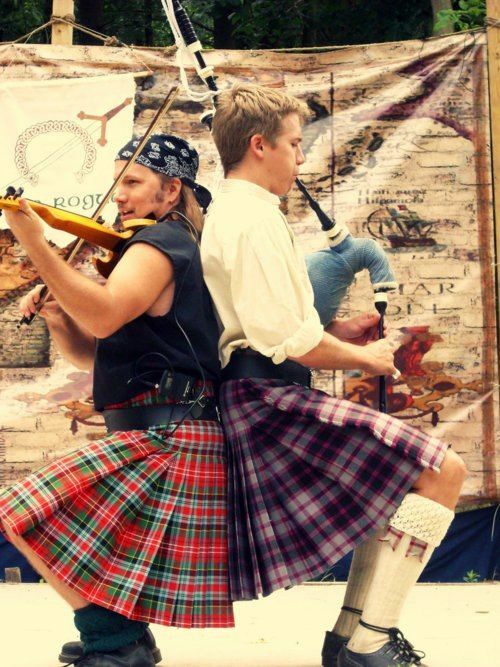 For today, I'm all into music, especially bagpipe music. All the pipers I know or have known are a bit different. They have all been this independent way of thinking and being. Okay, maybe another way to put that is most of the pipers I have met are kind of eccentric and in the best way possible. If I had an old missile silo and the Zombie Apocalypse was upon us, I would want to spend my last days on this good Earth with pipers and story tellers. 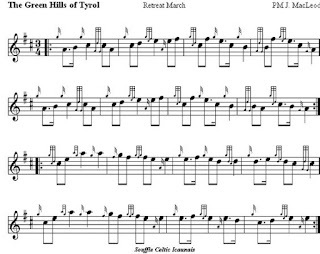 My favorite bagpipe tune is THE GREEN HILLS OF TYROL. I play every year on my birthday which I share with Pop. Bagpipe music is very emotional and stirring. 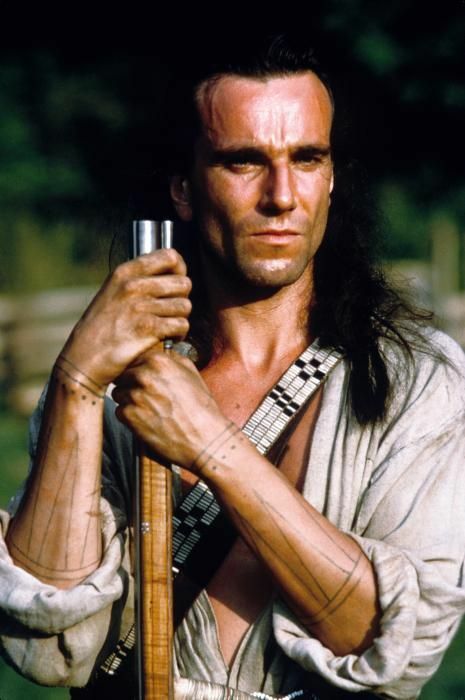 You may remember the tune THE GAEL in the movie THE LAST OF THE MAHICANS with Daniel Day-Lewis. Boy oh boy, that music said Hawk Eye was going to find his lady love no matter what. 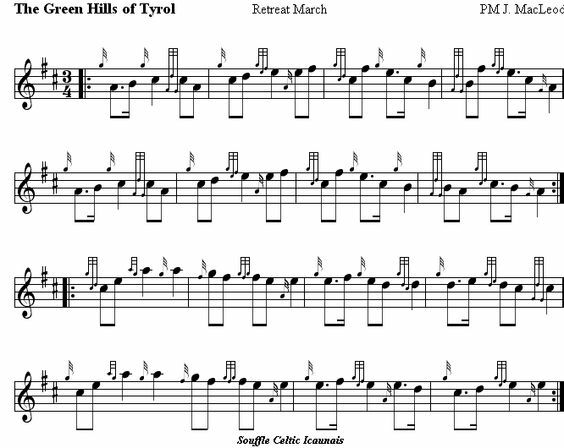 Here is a YouTube video of the Black Watch playing THE GAEL. 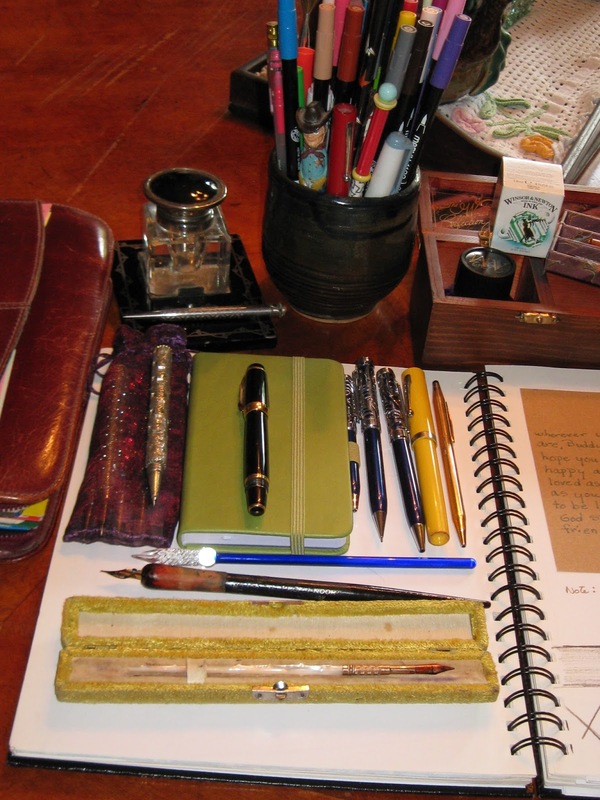 Do you have a creative vent--something you just have to do to enjoy your life? What is it about your creative interest that you enjoy the most? Does it make you feel happy and complete?